Hey Girl! I’m glad I decide to stop by I didn’t realize you were doing blog type stuff now too along with all the other great stuff (Kelly from TIB aka Kittenfantastico76). This cake is SO cute. 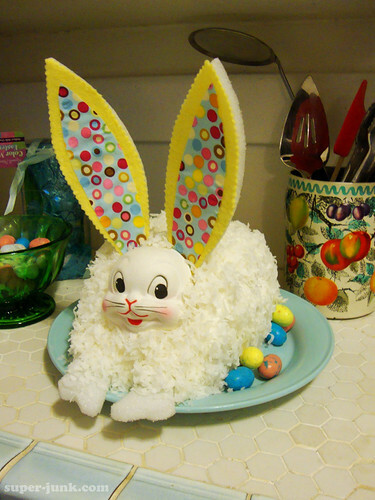 I absolutely adore coconut cake so this would have been right up my alley. 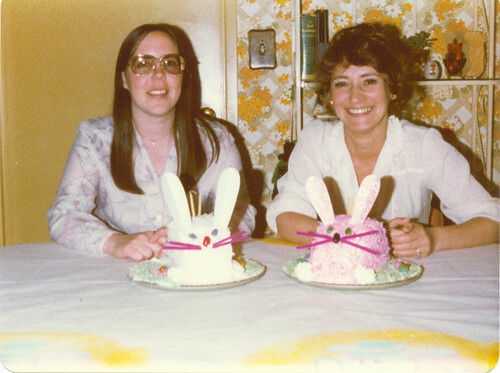 The bunny parts I used are vintage, but you can see from the *real* vintage photo that candy and paper works just fine for your bunnycake!